The story of a woman with Hashimoto’s Thyroiditis who is living symptom-free thanks to nutritional and lifestyle changes. Like many people, my personal health crisis brought me here today. I was a high-flying advertising executive, had a knack for my trade (strategic planning), worked on Fortune 100 brands, covered the Asian region, lived in 6 different countries and was the go-to-person in the industry. I loved it and was addicted to it. Until a crisis struck. It was the most lonely and helpless time of my life. Looking back at it now, it’s hardly surprising that my immune system is weak; in my tweens I lived through the Chernobyl nuclear disaster and ate contaminated food for a week after the explosion. Due to a number of food sensitivities (mom had no idea), I suffered from chronic ear infections and eczema as a child and later severe acne, migraines and hormonal imbalance for early adulthood; all clear signs of chronic inflammation and a suppressed immune system. As my advertising career took off, I was under chronic stress, worked 10-12-hour weeks and used to joke that “you sleep when you die.” Having lived in polluted Shanghai, China led to the high mercury and lead levels which I also had to battle to combat the recurring chronic case of Candida. Not surprisingly, all this led to an adrenal burnout that was only made worse by my intense and competitive athleticism. In other words, I was an ideal candidate for an autoimmune disease. Refusing to accept my disease, I went to a nutrition school to become a Certified Nutrition Coach, to really know how food can heal. I also dove into every thyroid book I could buy, sought answers from numerous endocrinologists, alternative healers and naturopaths to filter it all down to what’s critical in managing this complex condition. Today, I feel better than ever before. Free of all symptoms of hypothyroidism, I have more energy than most 28-year olds, my skin is glowing, I have not had the flu or cold in 5 years, I sleep well and enjoy a wonderful equilibrium in my life. Have you been tested to rule out Hashimoto’s? Doctors don’t like to test for the TPO and TGB antibodies as there is no medication to reduce the autoimmune attack on the thyroid gland. 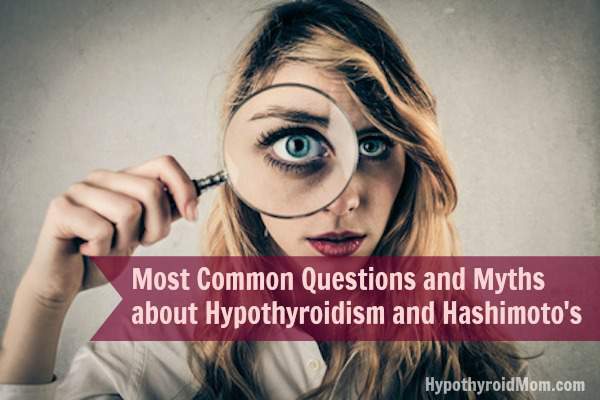 90% of people with hypothyroidism have it due to Hashimoto’s disease. Hashimoto’s Thyroiditis is an autoimmune condition. This means that the immune system gets mutated and starts attacking the thyroid – which causes hypothyroidism. 70% of your immune system lives in your small intestine (duodenum). If you have Hashimoto’s Thyroidistis and/or any other autoimmune condition, chances are that you have had digestive issues or infections that triggered this condition a long time ago. Integrative doctors say that we walk around with Hashimoto’s for an average of 8 years before getting diagnosed. During this time, the digestive tract lining gets damaged by the food we do not tolerate well (see more on this below), pathogenic bacteria, yeast overgrowth (aka candida), and parasites. Any of them can be the trigger for an autoimmune condition. This is one of the first sentences that I hear from people who contact me. It’s not surprising. After all, if they did not eat well and have love and appreciation for good food and nutrition, they wouldn’t be searching for diet and thyroid-related solutions. Sadly, the list of “good foods” that many people with autoimmune conditions cannot tolerate is long and can include nuts, seeds, nightshade vegetables, legumes, and grains. VITAMIN B12 and IRON – you probably know this part already. We get plenty of vitamin B12 and iron from meat. Both Vitamin B12 and iron are key in converting the T4 to T3. This is another highly controversial topic. It is true that food high in goitrogens will inhibit the thyroid gland’s ability to uptake iodine to produce the T4 hormone. This can be highly frustrating as this food includes some of our all-time favorites like cabbage, broccoli, spinach, Brussels’ sprouts, kale, collard greens, etc. The short answer is: absolutely YES! In all three points, nutritional changes can make a huge difference. Starting with cleaning up your gut and liver to maximize the thyroid medication utilization to preventing other autoimmune diseases from developing. It’s true that once you have Hashi’s you have it forever – this includes me. But, you can get to a place of remission, be symptom-free and live a full and awesome life. Magdalena Wszelaki is a nutritional coach, hormone specialist, chef, and diet coach. She has a long history of hormonal challenges herself, from Hashimoto’s and adrenal exhaustion to estrogen dominance. She is in full remission today and lives a symptoms-free life. She is author of the cookbook Cooking for Hormone Balance . thank you so much for all your valuable information. I now have a better understanding of how to heal my body and becoming symptom free!!! !